Or, if you’re leaping off the Shard, perhaps it won’t. 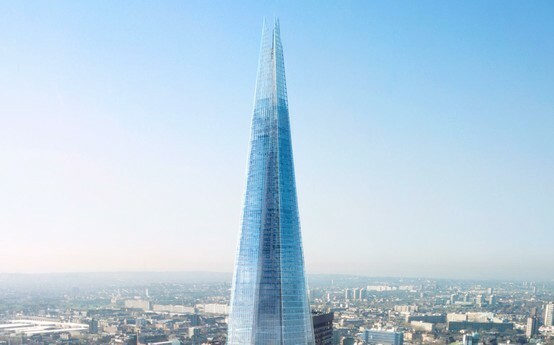 On September 3rd this year I’ll be taking part in TheLeap, a challenge involving abseiling at high speeds down the newly opened Shard, the highest building in Europe, in the style of a Royal Marine. This is the second in a series of Commando missions organised by the charity CommandoSpirit, which invites high flying business types (their words not mine) to move way outside their comfort zones, and push themselves to the very limits, while raising money for the RoyalMarinesCharitableTrustFund. The RMCTF supports Royal Marines, ex-Marines, and their families after injury, trauma and death. Sometimes the support this charity provides is helping marines recover from physical injuries and trauma, while sometimes it’s financial aid for the families of those who die in active service. Either way, this is a charity that helps those who put their lives on the line for us. A pretty good cause, by all accounts. Last year, I completed theDunker, another of the Commando missions involving the underwater escape from a simulation of a helicopter crash at sea. It may have been out of pity or as a contingent funeral fund, but my friends, colleagues and family helped me surpass my £10k target and raise an admirable £11,000. This year, I’ve set myself the lofty goal of raising £25,000 by doing TheLeap. There’s something fascinating about the extreme physical and psychological capabilities of men; where are our limits? And what happens if we push them? Not many of us ever get the opportunity to really test our own, but here’s a man who has: PeteGossis an ex-marine, world-renowned sailor, and general limit-pusher. He’s probably best known for his impromptu detour from a solo round-the-world yacht race in 1996, in which he turned his vessel around and sailed it back into the eye of the storm to rescue a fellow sailor. And in 2008 he built a woodenlugger with no modern communication or navigation tools, and sailed it to Australia in celebration of the seven Cornishmen who made the same voyage 154 years ago. His heroism doesn’t cease at the physical, though. Even considering the clear danger of appearing close enough to Pete for comparison, I asked him to help me fundraise for The Leap by speaking publicly about his adventures. I’m humbled that he accepted and I’m delighted to announce that he will be the keynote speaker at an extraordinary, one-time event on Thursday August 30th at Pinsent Masons’ offices in London. and donating generously to help me raise £25,000!